Whether it’s golfer’s elbow, back pain, or something else, injuries can set back your performance (and take you away from the course!). After you’ve had treatment, you want to prevent another injury from happening again. Mark’s found that, amongst the players he’s worked with, avoiding injury is the main motivation behind making a swing change. For more competitive players looking to lower their score, performance optimization is what brings them to change their swing. It could be that they’re great at hitting long shots but have inconsistent accuracy with them. Making a swing change could keep that range while bringing the reliability needed in a competitive environment. Golfers today are lucky to have access to a variety of technical means to improve their performance. For example, BodiTrak’s specialized foot pad, working in tandem with its DASH video analysis software for iOS devices, provides real-time performance analysis of your entire swing. As well, indoor golf simulators can give you feedback about your swings from the comfort of your own home (and a chance to hit a few balls despite bad weather!). There’s no reason not to take advantage of the tools that are available to you to accelerate your growth as a player. You might be eager to tap into your potential as a player. However, not getting a thorough assessment of how you’re hitting the ball now will only slow your progress. It’s not enough to have a coach see you hit a ball once or twice and then suggesting changes. They need to get a full sense of how your current full swing works, top-to-bottom. Once they’ve done their due diligence on the front-end, it becomes so much easier for them to give you meaningful advice to improve your swing. Originally from England Mark Blackburn arrived in America in 1994 on a college golf scholarship. A multiple Lettermen and Team Captain at The University of Southern Mississippi, Mark received a BS in Coaching. While playing professionally, inconsistencies and injury led to questioning golf’s teaching theories and ideas. The answers transitioned into a teaching taxonomy which applies a holistic sport science approach. Diagnosing poor golf mechanics, then validating those findings and implementing the appropriate corrections is the key to improved golf performance. Founding Blackburn Golf in 2000, Mark a Certified PGA Member, TPI CGP LIII & GSEM continues to work with golfers of all levels as Director of Instruction of The Blackburn Golf Academy at Greystone Country Club in Birmingham, AL. The Blackburn Golf Teaching Philosophy focuses on each student’s unique functional movement to develop an efficient and repeatable technique for their desired shot pattern. Mark was the Alabama NW Florida Section PGA Teacher of The Year in 2008, 2009, 2010 and 2015, a finalist for The PGA National Teacher of The Year 2010-2014, 2016, a Golf Magazine Top 100 Teachers and one of Golf Digest 50 Best Teachers in America. The Blackburn Golf Academy develops and coaches juniors, club golfers, elite amateurs, college and professional clients from around the world. 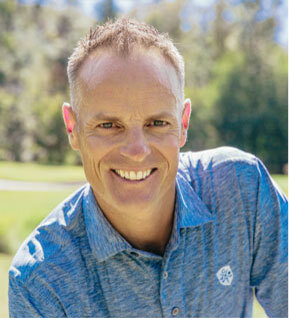 On the PGA Tour clients who have utilized Mark’s coaching include; Kevin Chappell, Chez Reavie, Harris English John Peterson, Tyrone Van Aswegan, Chad Campbell, YE Yang, Andrew Putnam, Hudson Sawfford, Heath Slocum, Robert Karlsson, Arjun Atwal, Bill Lunde, Bobby Gates, Boo Weekley, Nathan Green, Brian Gay, and Richard Sterne.